Tully's Coffee serves specialty coffees, espresso, baked goods, and pastries. Tully's Coffee offers free wireless internet. 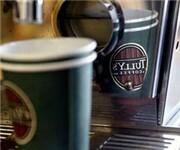 How Would You Rate Tully's Coffee?